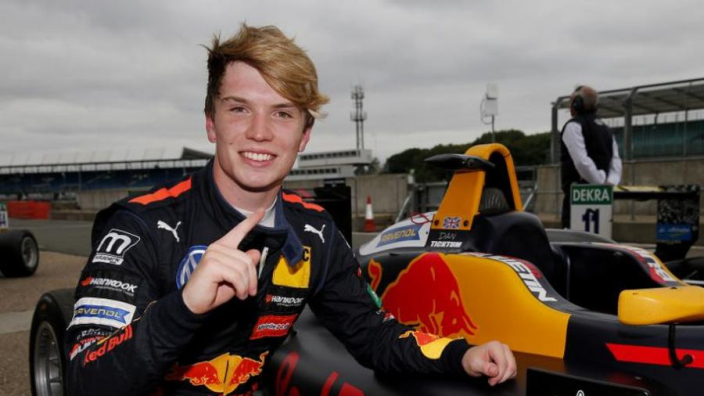 Dan Ticktum will race in Super Formula in 2019, Red Bull has confirmed. Britain's double Macau Grand Prix winner had been linked with a place at Toro Rosso for next year, before Alexander Albon was ultimately chosen to partner Daniil Kvyat in Red Bull's sister team. Ticktum is seen as the next star on the Red Bull conveyer belt and is reported to have significant backing from motorsport advisor Dr Helmut Marko, who is keen for the 19-year-old to get a Formula 1 chance. A Red Bull junior since returning to motorsport from a ban in 2017, Ticktum had looked a likely champion in European Formula 3 this year until a spectacular late-season surge from Mick Schumacher. The son of seven-time world champion Michael Schumacher was ultimately successful and will step up to Formula 2 in 2019 with Prema. Ticktum was involved in the final F2 round of this year with Arden, but he failed to make the top 10 in either race in Abu Dhabi, later claiming that tyre management had caught him out. Though less-trodden, the path to F1 from Super Formula – Japan's open-wheel competition – is not so rare, both Stoffel Vandoorne and Pierre Gasly have made the transition in recent years. Ticktum will race for the Honda-affiliated Team Mugen, with whom Gasly raced with to a second-place finish in the championship in 2017 – the same year he debuted in F1 with Toro Rosso. After completing his first full season in F1 next year, Gasly will replace Daniel Ricciardo in Red Bull's senior squad next year. Competing in Super Formula will likely see Ticktum finally reach 40 points on his FIA superlicence. Ticktum was blocked from testing for Red Bull this year as he did not have enough points on his superlicence – an issue that stems back to a year-long ban picked up for overtaking a number of cars under safety-car conditions and crashing deliberately into a rival.